MOSCOW, April 01. /ITAR-TASS/. 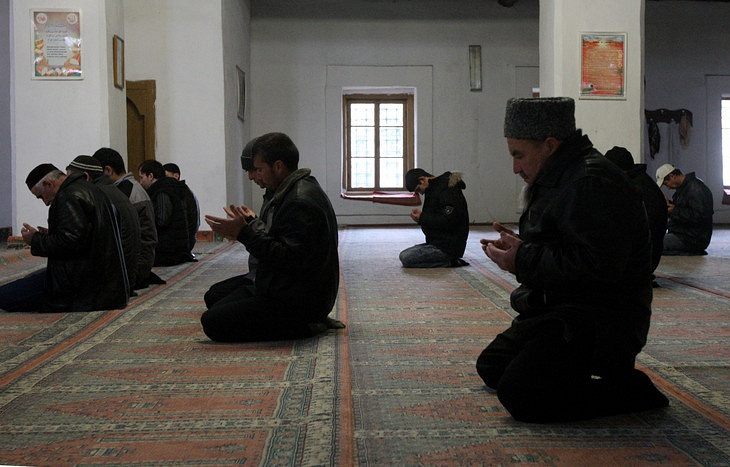 Now that Crimea has become part of Russia, Crimean Tatars will be able to return the mosques and Islamic schools that were once taken away from them under a Russian law on transition of cult property owned by the state or municipal power bodies to religious organizations, Ravil Gainutdin, the head of the Russian Council of Muftis, told a news conference at ITAR-TASS on Tuesday. The Muslim community in Crimea is strong enough to withstand radical pseudo-Islamic religious trends and protect ordinary Muslims from their influence, Ravil Gainutdin, the head of the Russian Council of Muftis who has just returned from a trip to Crimea, said. He said that Ukraine’s new political leadership had given green light to creation of various destructive opposition forces that were opposed to the Mufti Spiritual Authority of Crimea and official religious organizations in order to weaken the influence of the Crimean Tatar population on the peninsula and the Spiritual Muslim Board. “The Mufti of Crimea is a wise man who will not declare a war on anybody because he believes that the word of enlightenment should be a clergyman’s main weapon,” Gainutdin said, adding the Mufti was keeping Hizb ut-Tahrir and similar movements under control. “The task of Muslims is to educate and train clergymen who will be able to take the word of the All Mighty Allah to every believer,” Ravil Gainutdin said. He added that Russian Muslims were ready to share the experience of creating a system of religious education in the republic with their fellow-Muslims in Crimea. Gainutdin who had visited Crimea on March 27-29 said many towns, mosques and Islamic schools had been in dire state over the past twenty years. 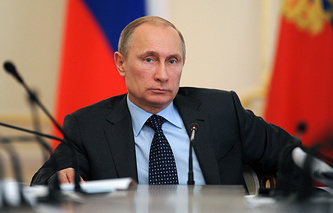 “Now, Crimean Tatars will have the right to restore their ownership rights to cult institutions that were once confiscated from them and return their buildings to religious organizations,” Russia’s chief mufti stressed, noting that Crimea’s incorporation into Russia would open new opportunities for Crimean Tatars to build a new life on their own land and overcome the consequences of Stalin’s deportation. “They understand that today’s Russia is doing a lot to create conditions for spiritual and cultural development of Muslims,” Gainutdin said, sharing his impressions from meeting the spiritual leaders of Crimean Tatars and ordinary Muslims. “The Muslims of Crimea look forward to starting a new life,” Gainutdin emphasized, adding Crimean Tatars were concerned that they had not been rehabilitated over the past 20 years. Besides, no conditions have been created for Crimean Tatars to stop being outcasts and start living normal lives. “Crimean Tatars have realized they are going to be rehabilitated at last. They are not going to leave Crimea and hope that their rights will be observed,” the Mufti said. According to him, Crimean Tatars believe in Russia. “They want to be together with our 20-million Umma, which is well-protected, which develops and lives a full life,” Gainutdin said. Mufti Ravil Gainutdin visited Crimea on March 27-29 to meet his Muslim fellow-believers at the invitation of Emirali Ablayev, the Mufti of Crimea.